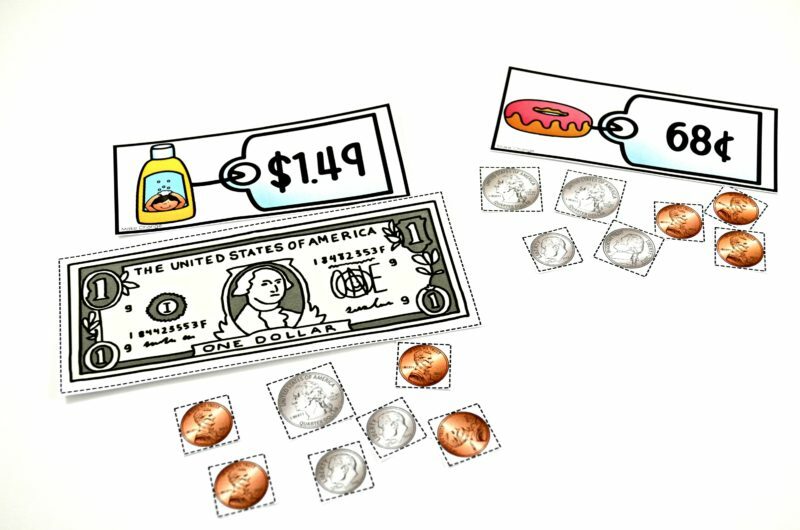 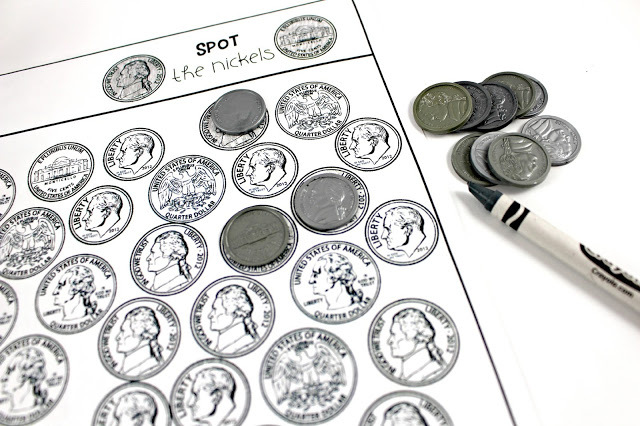 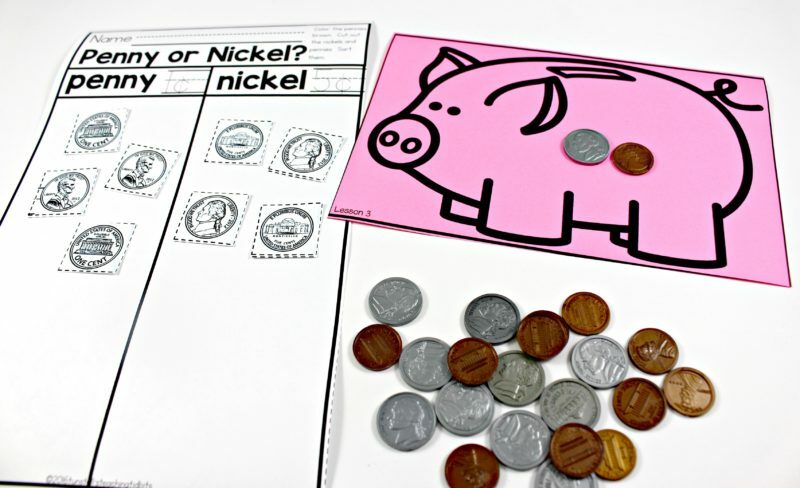 This post is all about teaching about coins! 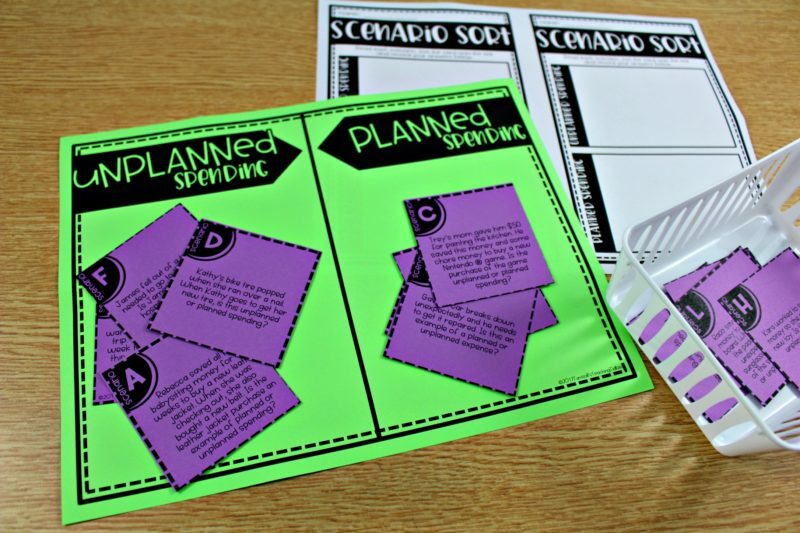 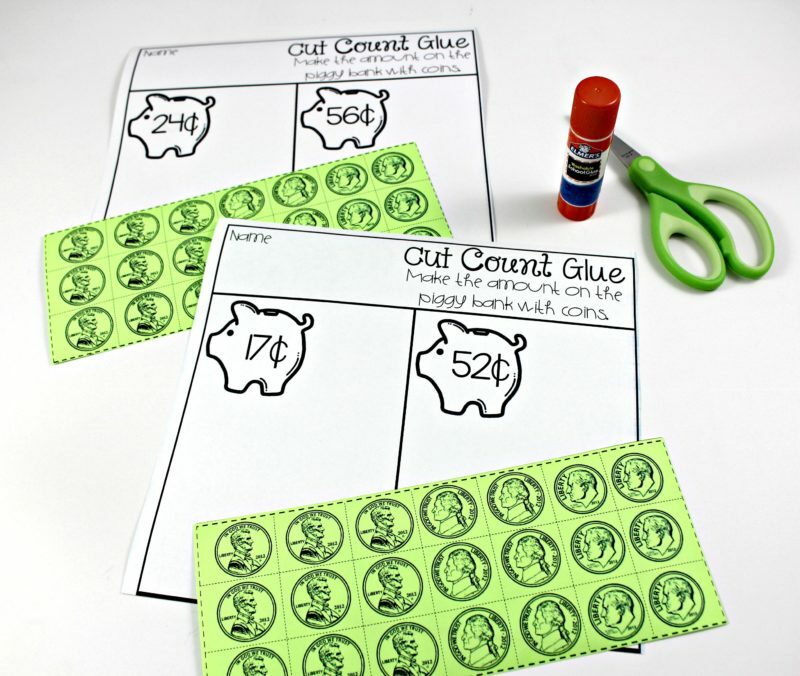 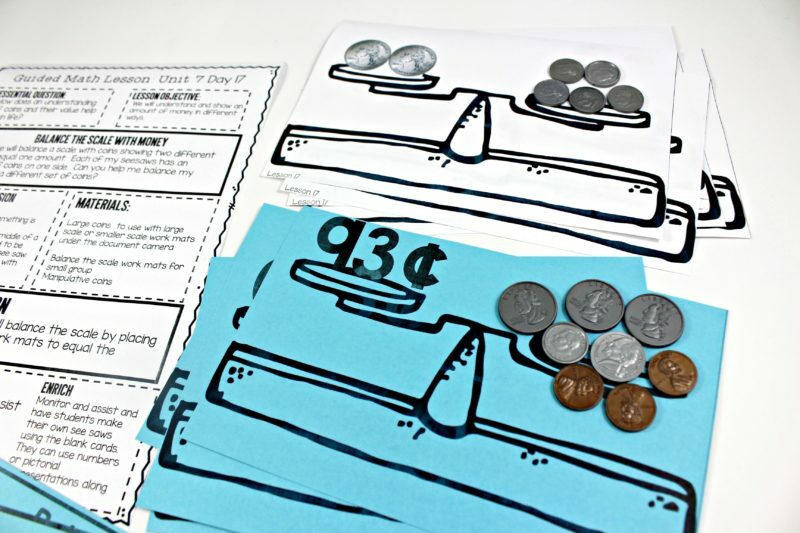 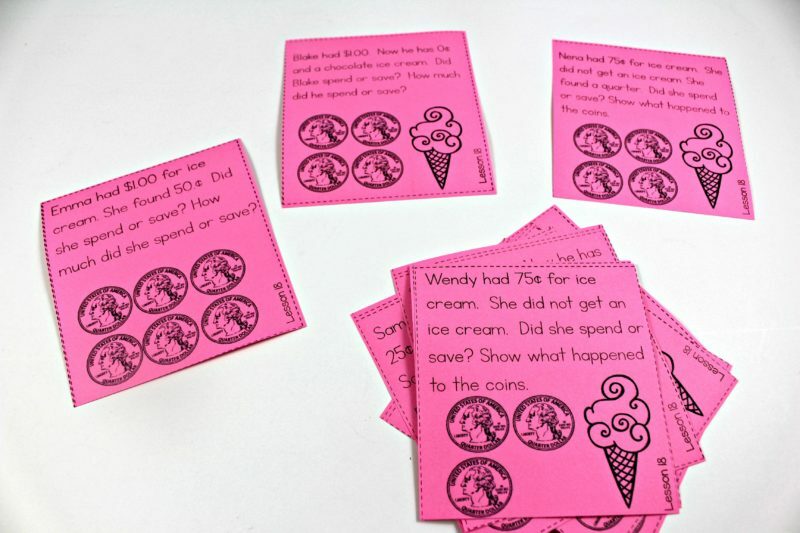 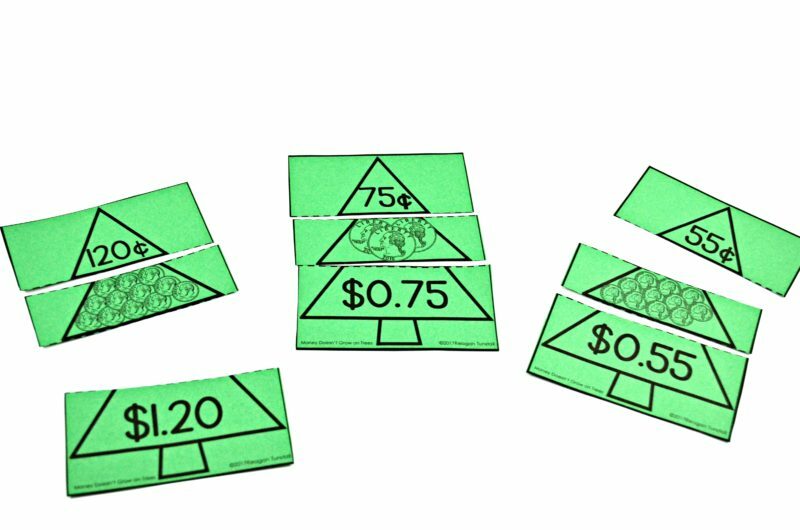 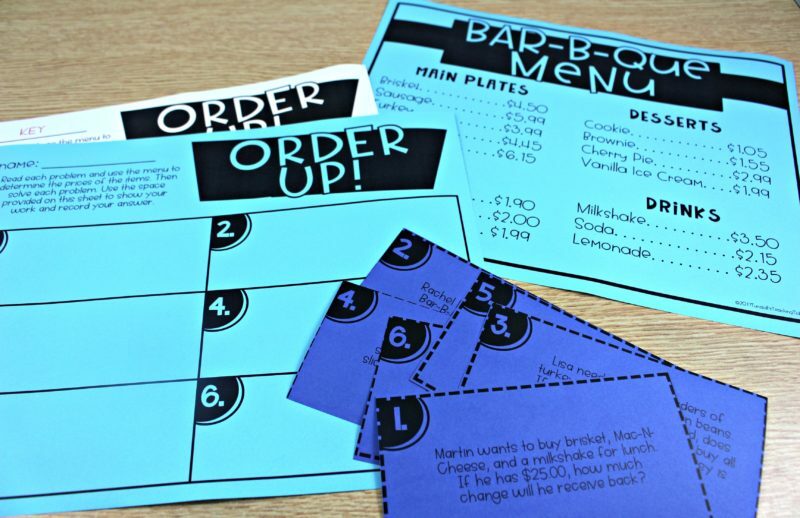 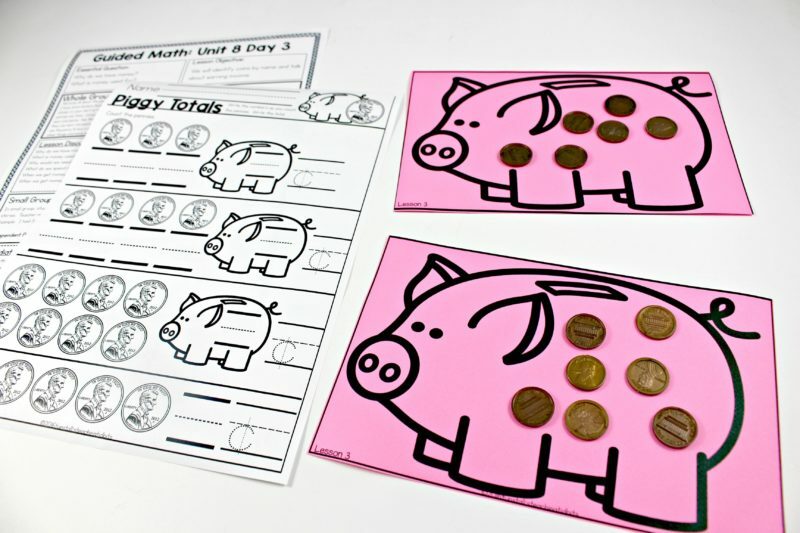 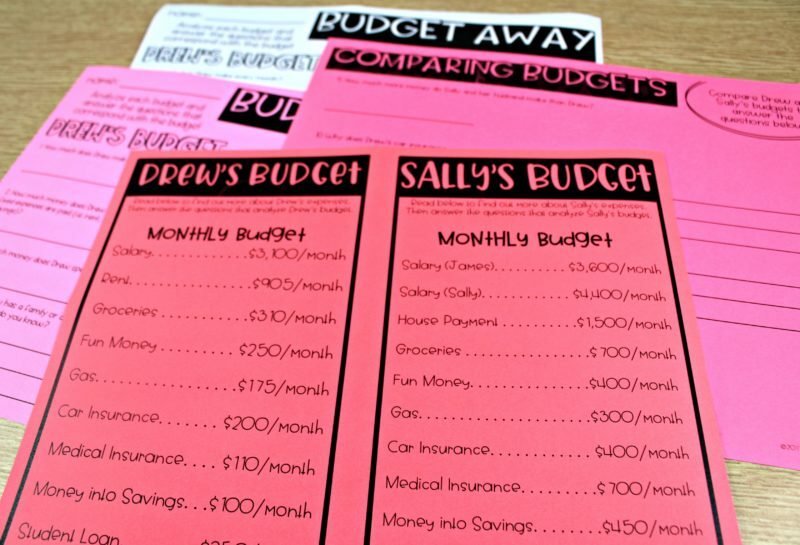 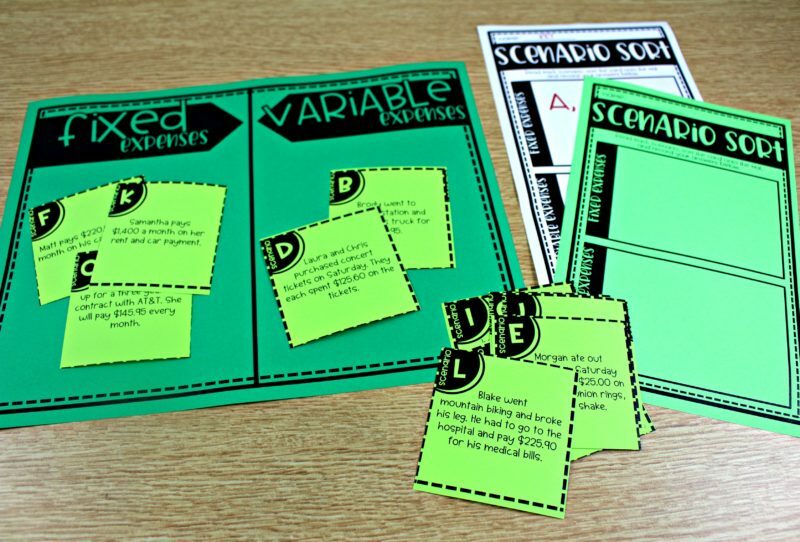 The pictures and lesson ideas in this post come from the guided math units K-2, but I have 3rd and 4th grade units on money and personal financial literacy so be sure to scroll down for those links too! 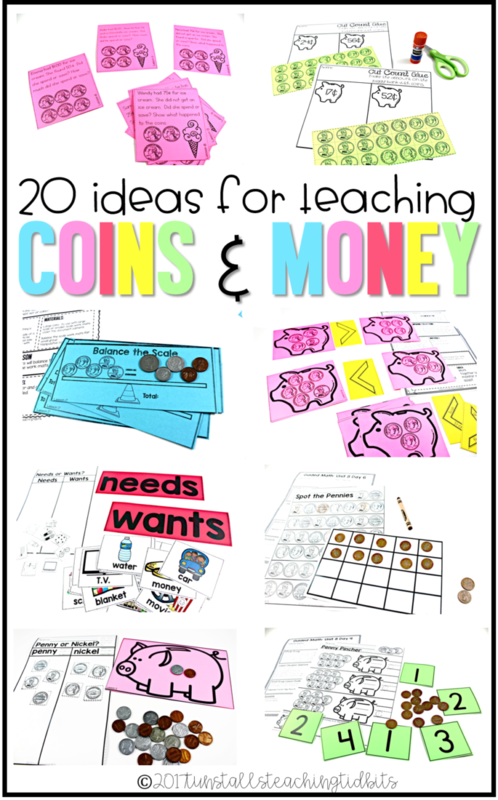 Below I am sharing 20 lesson ideas for teaching coins. 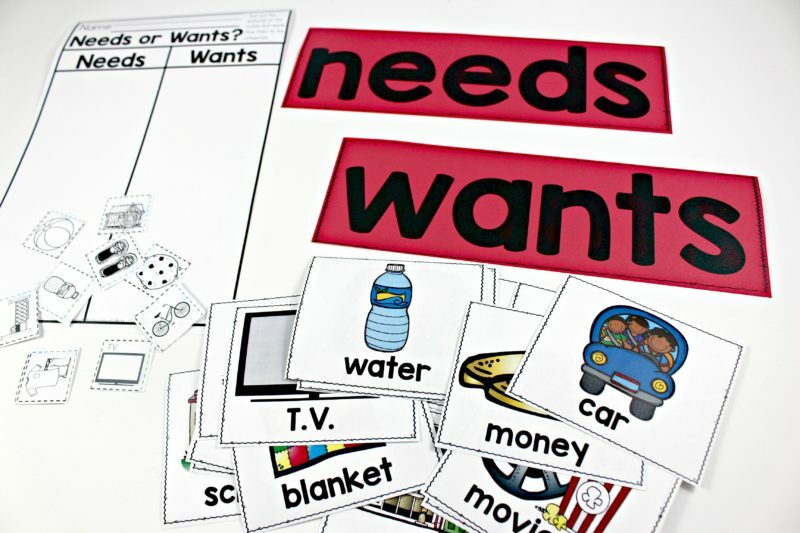 Like any concept we want students to be as conceptual as possible at first making those concrete connections over and over until we can move into pictorial understanding and finally abstract. 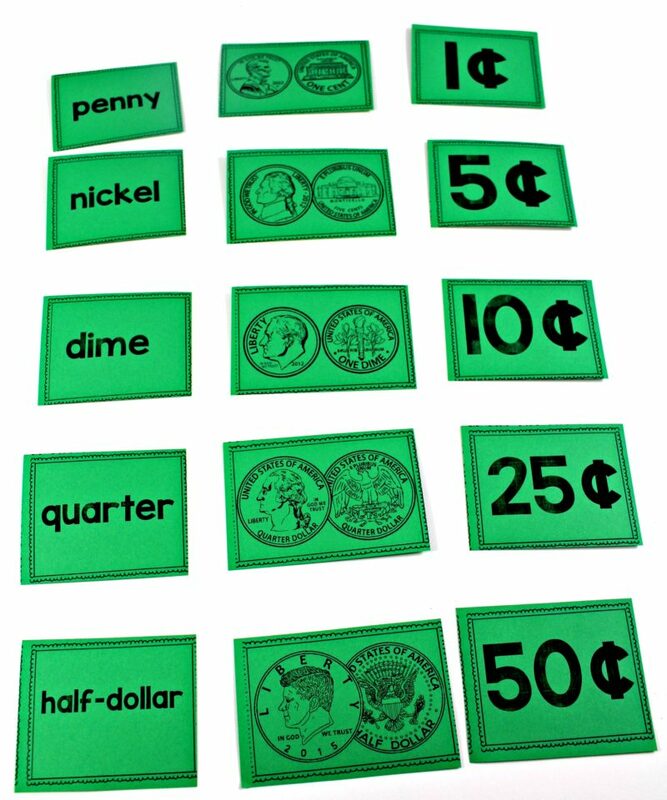 You will notice that when possible we are taking out the coins and using them through the lessons for both whole group and small group. 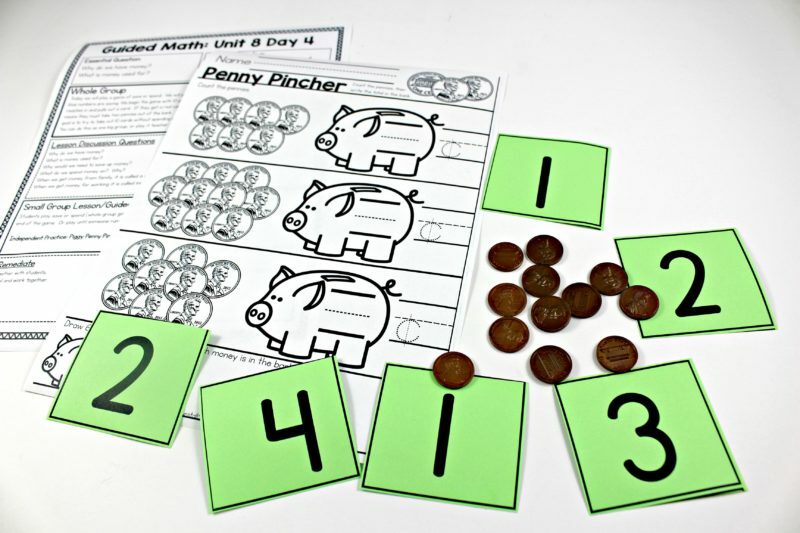 In the guided math lessons, you will get 20 whole group mini-lessons followed by small group lessons. 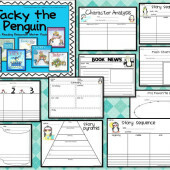 All of those lesson plans and materials wrap up with a unit assessment. 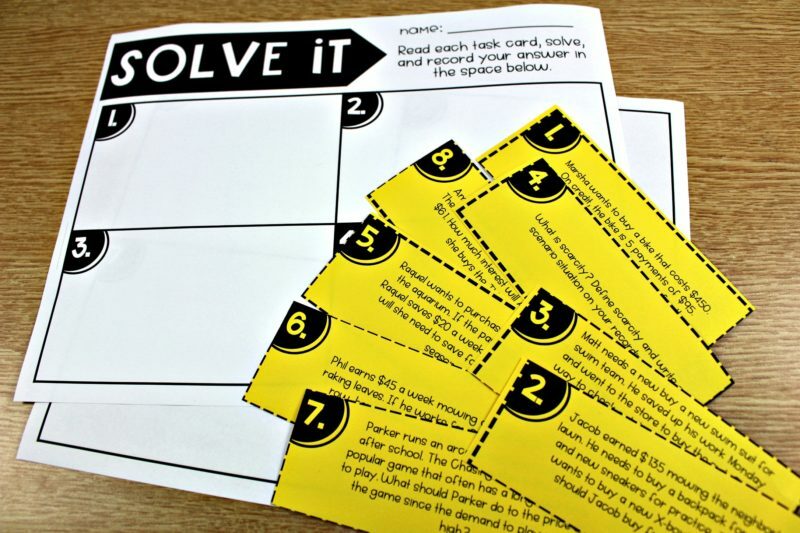 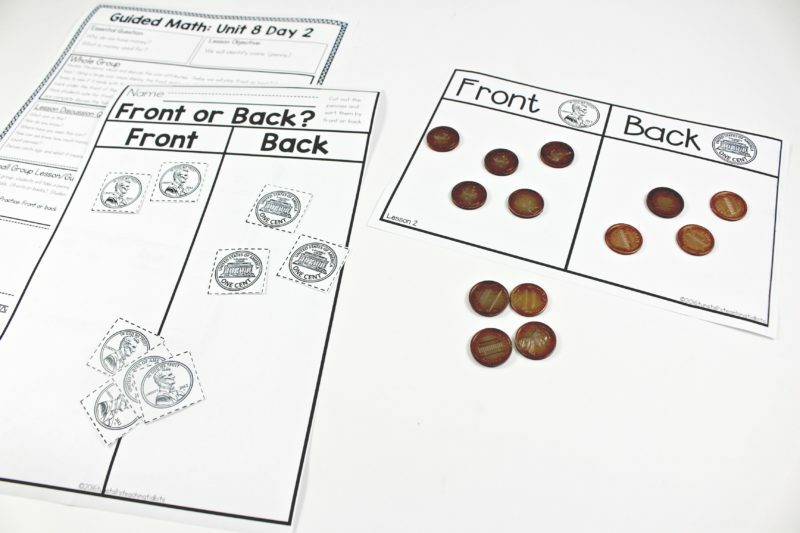 I will also add in related math rotation ideas for you to fill those independent work stations with coin activities for your mathematicians! 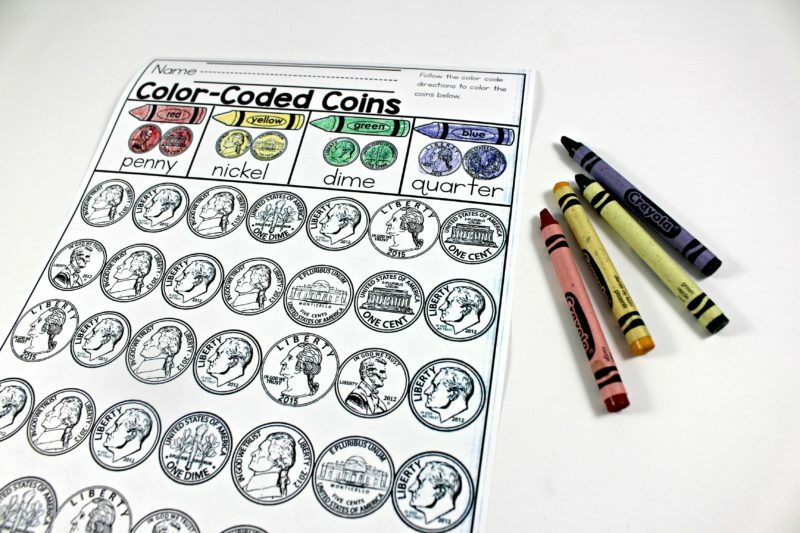 Beginning in Kindergarten, we focus on recognizing the coins and discussing their unique features. 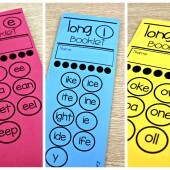 This unit is also wonderful for first grade as well. 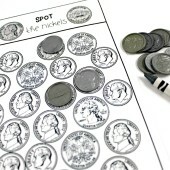 It covers each coin and has TONS of hands-on conceptual practice with sorting and naming the coins. 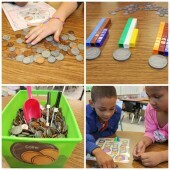 First grade spends 10 lessons on coins and 10 lessons on graphing. 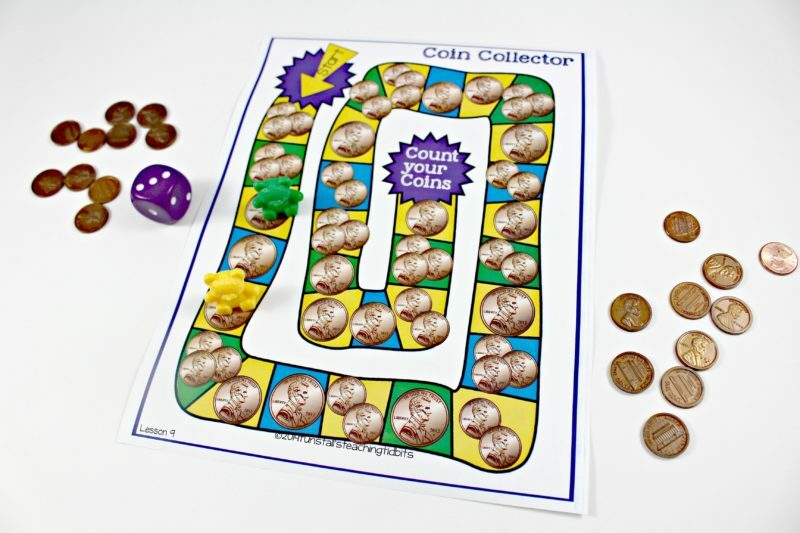 This is why I recommend the kindergarten version of the unit if you want to go in depth and spend longer on each coin. 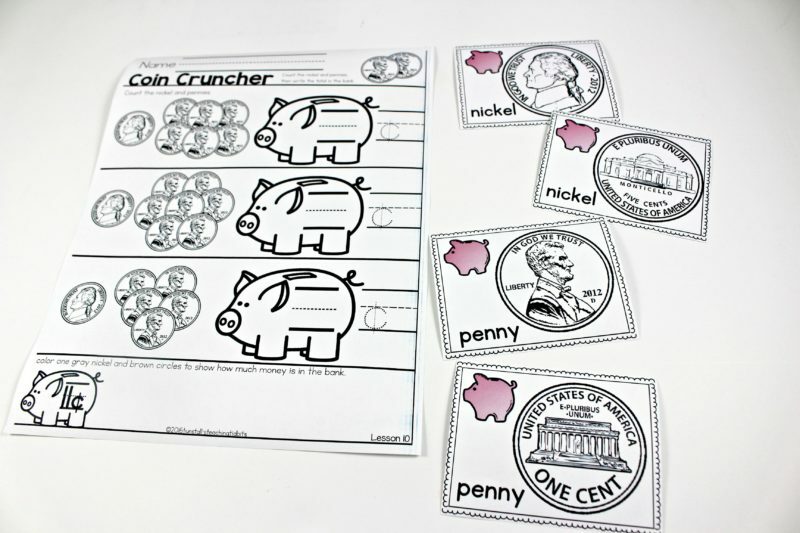 If you are rocking and rolling in the money department, then the first grade unit will fit your needs well! 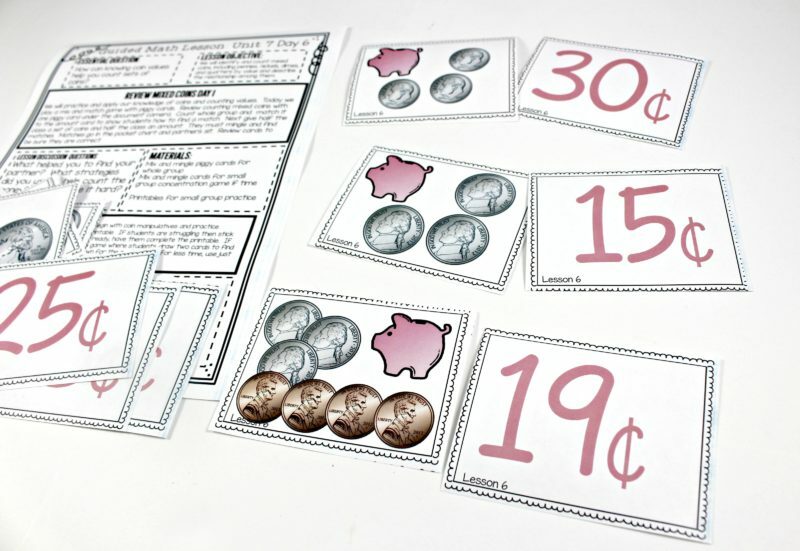 Each coin will have lessons as well as counting each coin with pennies and finally a little mixed coin practice to wrap things up. 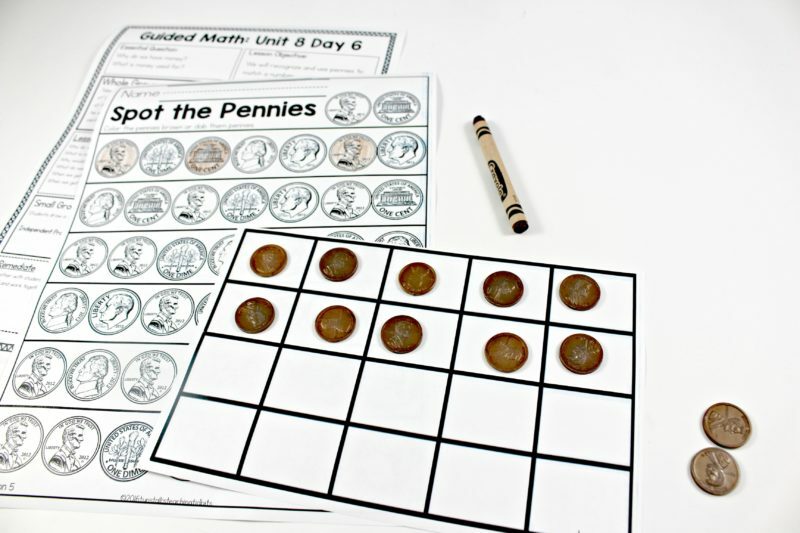 Second grade jumps in and expands on counting mixed coins by providing lots of practice first with counting like coins with pennies added followed by mixed coin practice. 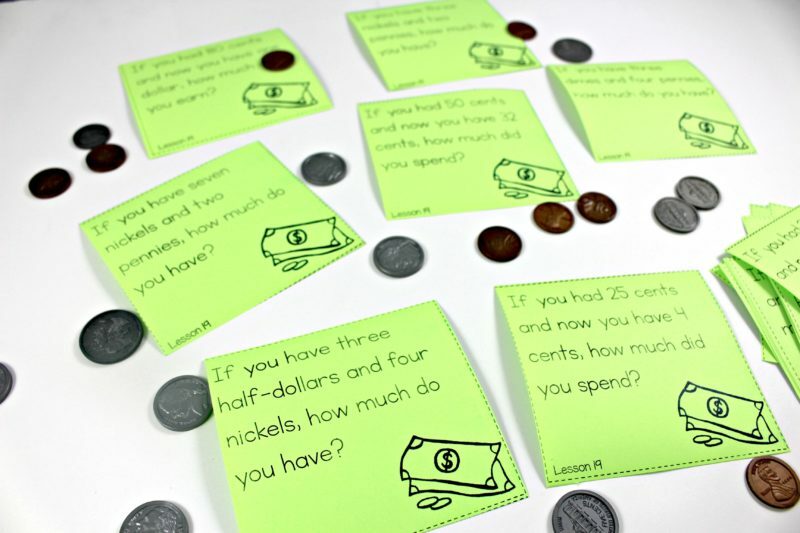 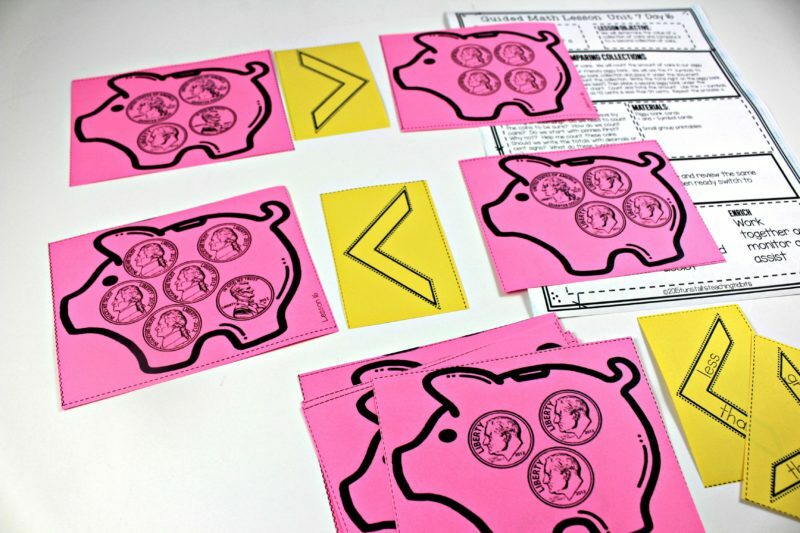 Just like guided math lessons, there are workstations ready to help students review and apply concepts about coins, money, and personal finance! 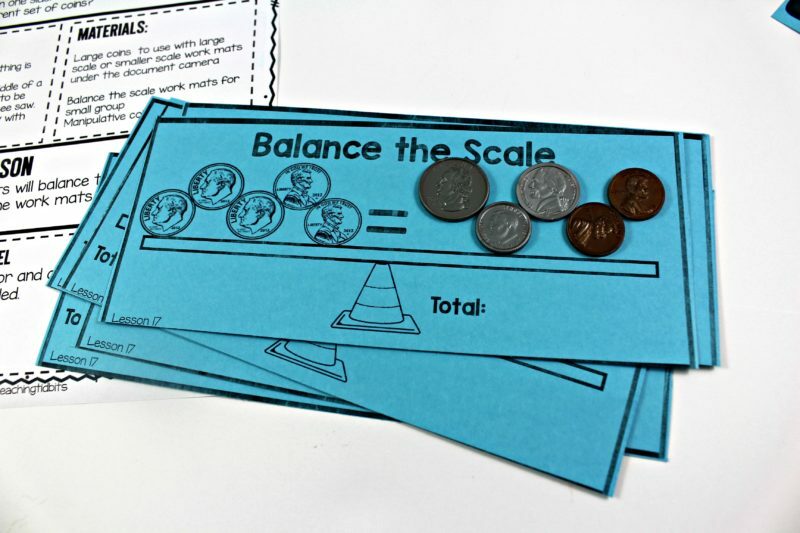 Below I am sharing second grade, third grade, and fourth grade centers. 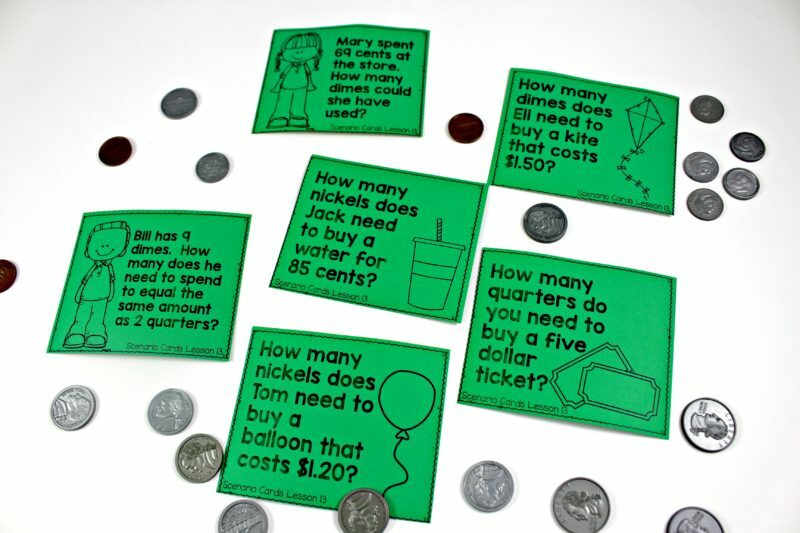 I have grades K-4 available. 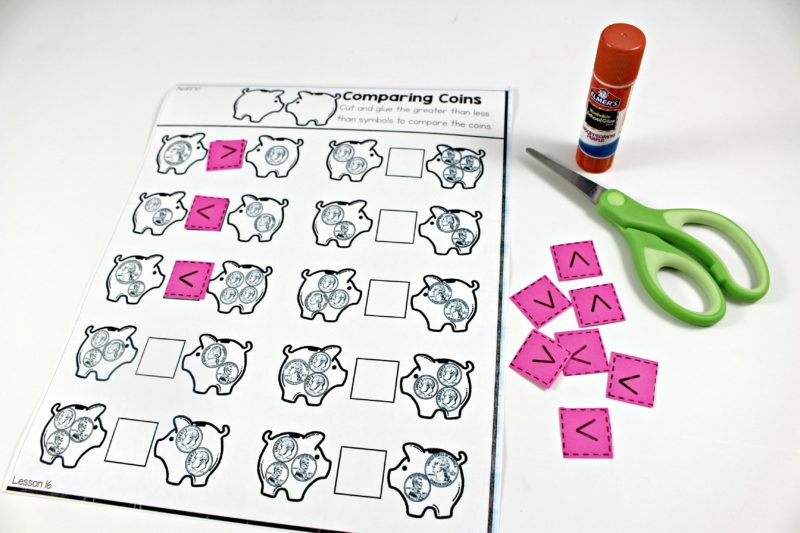 Links can be found below the pictures.